Maricopa County Environmental Services provides essential, regional environmental services seeking to prevent and remove environmental health risks. The Department’s Environmental Health Specialists and Field Technicians are in the community every day making sure that among other things, food in all the eating and drinking establishments in the County is protected from contamination, that water supplies throughout the County are safe to drink, and that vector borne health illnesses and risks are minimized. It is our belief that with continued support, future generations will reap the benefits of today’s actions. Need assistance en Español or in 中文 for your food related business? Nuestros representantes o enlaces para negocios hispanos de venta de alimentos están disponibles para asistirles entendiendo las necesidades culturales de su negocio y asistiéndoles en su idioma. 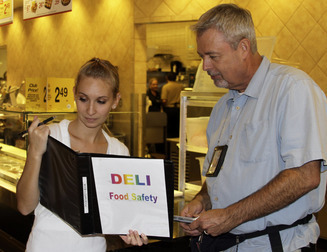 Do you need to make sure that your ethnic foods meet Maricopa County Health Code standards? 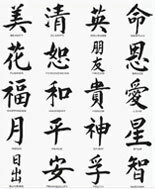 Our language liaisons are available to assist you! A Certified Food Protection Manager shall obtain a CFPM Certificate after successful completion of a test from a Food Protection Manager Certification program as described in the 2013 FDA Food Code, § 2-102.20. Maricopa County does not provide this testing or instruction for the Certified Food Protection Manager Certificate. The following is a list of Food Manager Certification providers that currently are ANSI-Accredited providers of Food Manager Testing, as described in the FDA 2013 Food Code §2-102.20. Thank you for staying connected with EnviroConnections by Maricopa County Environmental Services Department. This newsletter will be available quarterly and on special occasions. Get all the issues! If you are not yet subscribed, you can sign up now and this with a friend. Active Managerial Control Intervention Visit: When a repeat priority violation occurs, your inspector will offer to return to your business to help you develop an Active Managerial Control plan. This Active Managerial Control (AMC) Intervention Visit is free. Achieving AMC of repetitive violations begins with 3 simple steps: developing a policy, training staff, and verifying that the plan is carried out. Click here to learn more! Active Managerial Control Class: When the same priority violation is documented on 3 consecutive inspections, you will have the option of attending our nationally-recognized Active Managerial Control Class. 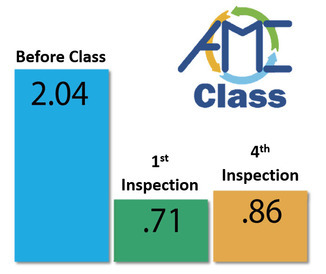 Attending the AMC class will defer any legal action until your next inspection. If the violation is corrected on the inspection following the class, you’ve broken the cycle! Click here to learn more! To learn more about the procedures described above click here. 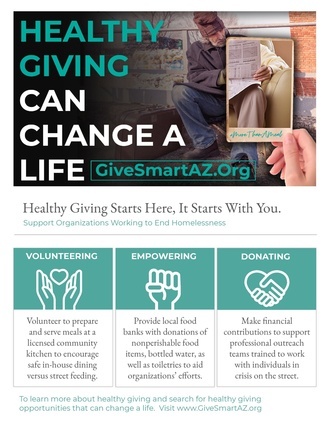 One of Maricopa County Environmental Services Department’s (ESD) primary goals is to ensure that consumers have safe food to eat. To this end, ESD implements requirements to prevent food from being adulterated, either accidentally or intentionally. Food defense means the effort to protect food from intentional acts of adulteration. Food establishments that apply effective food defense strategies can significantly reduce the likelihood of an intentional adulteration. What can food service operators do? If you SEE SOMETHING, SAY SOMETHING. Notify management if you observe something suspicious. Secure open containers of food or ingredients. Control access of employees, delivery personnel, and patrons to food storage and preparation areas. As appropriate, keep doors locked to prevent access to food preparation and storage areas, including loading docks. Monitor self-service areas (i.e. salad bars, condiment areas, open bulk containers, etc.) for evidence of tampering. Monitor products on retail shelves for evidence of tampering (i.e. damaged packages, evidence of resealing of packages, leaking packages, etc.). Monitor the security of the premises as appropriate. Conduct background checks on employees. Train employees on awareness of suspicious activity and reporting procedures. Every day of the year is a struggle for those experiencing homelessness in Maricopa County, but generous people who want to help can give in a way that has meaning and impact beyond one meal. Follow Us, Like Us, Watch Us and More! Maricopa County Environmental Services department is constantly working to make effective use of social media. You can subscribe to our YouTube channel, and connect with us on Facebook, Twitter, LinkedIn and Instagram!